On December 23 last, Mikhail Kalashnikov the designer of the infamous AK 47 machine rifle died. I had some thoughts about the AK 47 which led me to write this post. But before I convey my thoughts, let me say that I am not trying to glorify one of the world’s most lethal assault weapons, nor do I condone violence. As a child who grew up in Ireland, I knew at a young age what a Kalashnikov was. In the 1980’s it was the favoured weapon of the IRA and I had seen images of it on TV news reports. I also remember the news reports saying it was favoured for its simplicity and ease of repair. 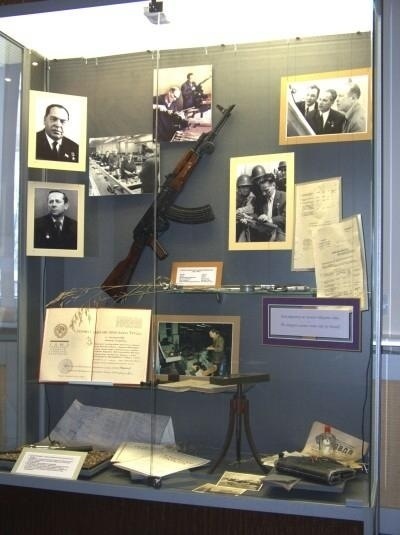 So, when Kalashnikov died last year, I started thinking about how the AK 47 was made. It has been made (with a few variants, such as the lower cost AKM) since 1947, and is still in production. It has a simple gas mechanism, few parts and lots of space between the parts. The manufacture is thus relatively simple, and as it seems to have not changed much since the 1940’s, this may be one of the best examples I could think of in terms of standards as used in standard costing. With 70 years of production history, I would guess that there are standard times for assembly of the various components of the AK 47. And, production planning based on such a long experience of making pretty much the same thing is likely to be quiet simple. Simple design, standard times and good planning of course contribute to lower cost – and my reading around on the AK 47 has revealed that keeping costs down was one design goal. So, I guess it comes as no surprise with its efficient design and production, that the AK 47 is cited as a weapon responsible for more deaths than any other. Not the main point if this article of course, but I hope you get the link to standard costing techniques. Here’s a good related article from The Economist.